Ken Forrester and Antoine Leccia, president of AdVini. Forrester Vineyards Pty. Ltd has signed a partnership deal with AdVini, a French wine distribution company listed on the Paris stock exchange. This will open up new markets to the brand. AdVini has acquired a significant share of the Ken Forrester wine brand. Ken Forrester will remain as Chief Executive Officer to manage the business. 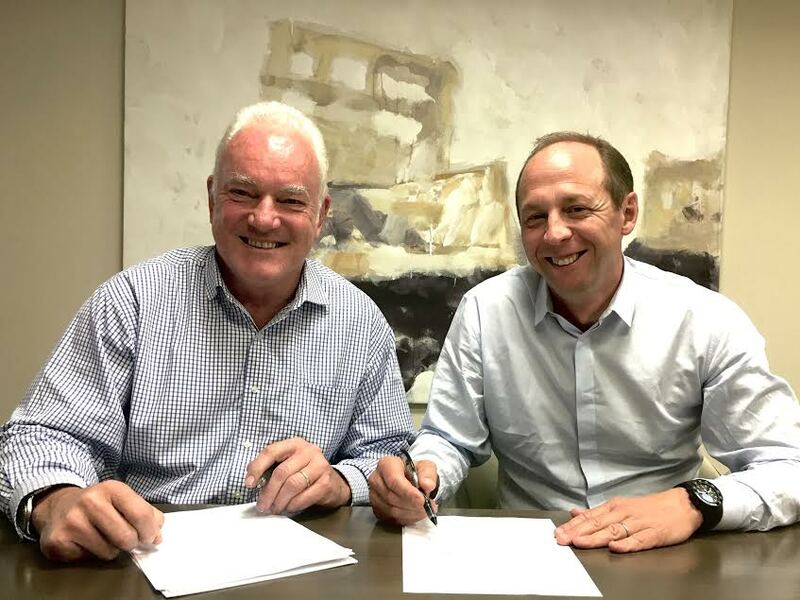 This comes shortly after the AdVini group purchased the Stellenbosch property Le Bonheur, with plans to upgrade and restore the brand, as it did with L’Avenir Wine Estate. Advini will be distribute the Ken Forrester Wines brand throughout Europe and Asia by AdVini, while Forrester and his team will maintain growth in their current North American and English markets.